Image: Alexis Hunter, ‘The Dinner Party (International)’, 1979, courtesy of The Women’s art Library, Special Collections and Archives, Goldsmiths, University of London. In 1978 Louise Bourgeois created a large performance art work with a dinner table at its centre. On the table was a banquet of sculptural works, around it were prominent historians and young students in costumes made by Bourgeois. During the performance, titled A Banquet / A Fashion Show of Body Parts, the participants walked around the table, while an audience stood or sat at the edge of the room, like at a runway show. 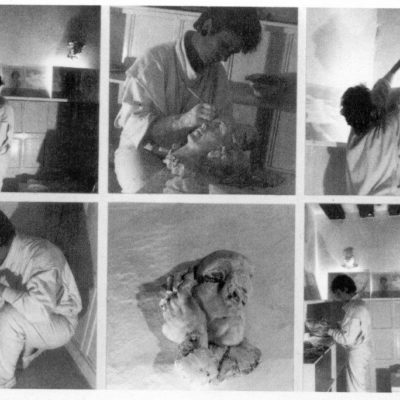 This performance marked Bourgeois’ shift in this period from making sculptural artworks, to creating sprawling, immersive environments like her Destruction of The Father (1974). It also shows her interest in the body. The banquet attendees all wore simple white tunics with strange fabric attachments resembling bodily lumps and bumps. In this work Bourgeois played with the idea of different kinds of celebrations and rituals. She combined the ancient and the modern – not least in bringing together historians and students – to suggest to her viewers how the past lives in the present. A Banquet / A Fashion Show of Body Parts could be read in many different ways, but there is a feminist politics to this work. The performance was made in a decade that had seen the rise of women’s liberation, which had challenged the inequalities between men and women, and particularly their status in the art world and the public sphere more broadly. Here Bourgeois subverts the relationship between the woman and the work of domestic care and pride. The dinner table becomes a stage for a performance. It is related to a catwalk, another space for feminine showing-off. Yet, instead of clothes on a catwalk or food on a table, Bourgeois showed off her art, exhibiting it as the products of feminine labour, and parodying the association of women with reproductive rather than creative work. While a number of artists influenced by feminism used the motif of cooking, dinner parties and other domestic scenes in their work, for some the dinner table was was also a potential site of politics. The table could be transformed into a space for feminist gatherings, meetings and celebrations of women and women’s history. At this moment women no longer receded into the background, or the kitchen, now they wanted a seat at actual and symbolic tables. The American artist Judy Chicago’s well known The Dinner Party (1974–9) is a case in point. In this work, the table became a monument to women ‘lost from history’. When Chicago’s The Dinner Party was first displayed at the San Francisco Museum of Modern Art in 1979, one of her former students was commissioned to make a new work in Chicago’s honour. 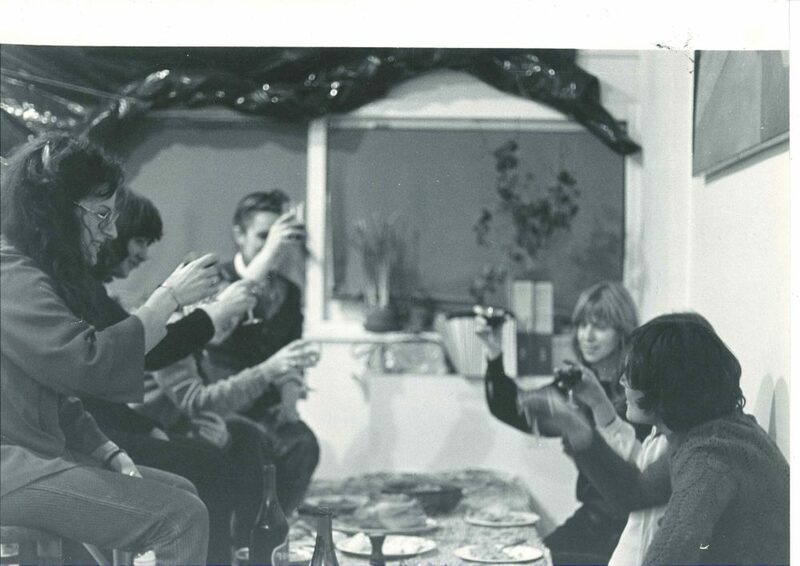 The artist Suzanne Lacy organised the International Dinner Party in which women across the globe were invited to host their own dinner parties. The women who organised the dinner parties recorded them via telegram and photograph which were then sent to Lacy at SFMoMA. Each location was recorded on a large world map during the launch day, and was later added to an archive that grew as days and weeks past and more documentation arrived. In contrast to Chicago’s monument, which was predominantly Euro-American and white, Lacy’s International Dinner Party represented a global feminist community that was living and thriving in the present. 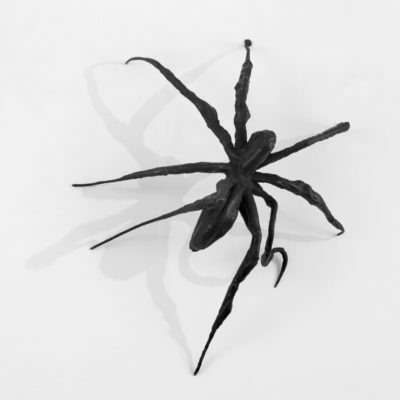 One photograph that Lacy received documents a dinner party organised in honour of Louise Bourgeois by the artists Mary Beth Edelson and Ana Mendieta. The hosts invited a number of New York-based artists to celebrate with Bourgeois – who provided the champagne. Each came to the party dressed as their favourite woman artist from history, some cheekily appearing as themselves. Across the Atlantic, a group of artists in London also gathered for a dinner party, hosted by Alexis Hunter. (also pictured) Among the guests was Rose Garrard, another artist associated with sculpture who was, like Bourgeois, expanding her work into large-scale installations. Rose Garrard’s 1986 work Casting Room I is on show currently at Kettle’s Yard, until 3 March. 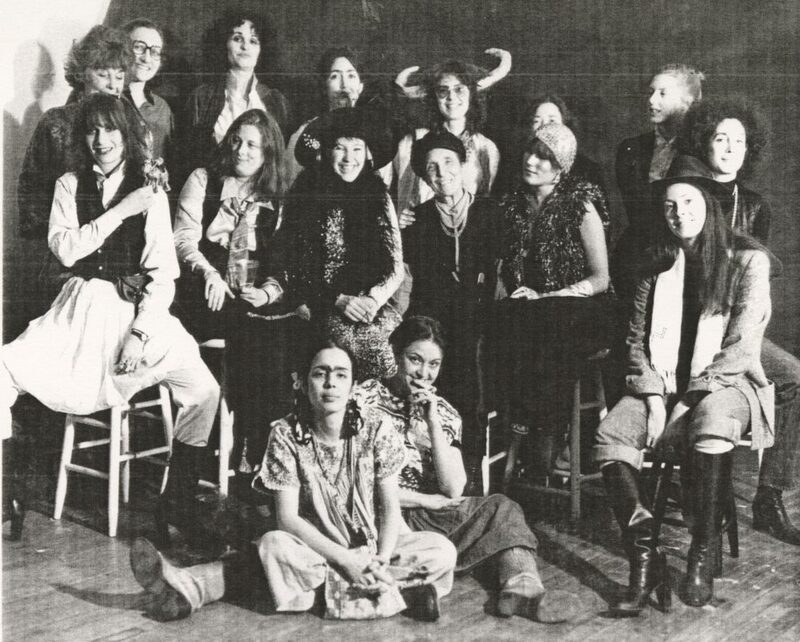 In Lacy’s archive, as well as in the many group exhibitions, collaborative publications and collective discussions, diverse women artists came together in the 1970s to support, celebrate (and critique) one another. This process of coming together is much like sitting down at a dinner party, where everyone is both connected and separated by the surface of the table. While we use the table as a place around which to gather in debate, we could also see it as a place for celebration and one to be renewed in the present. We’re hosting our own version of Edelson and Mendieta’s dress-up party at Kettle’s Yard on Friday, 8 March 2019. 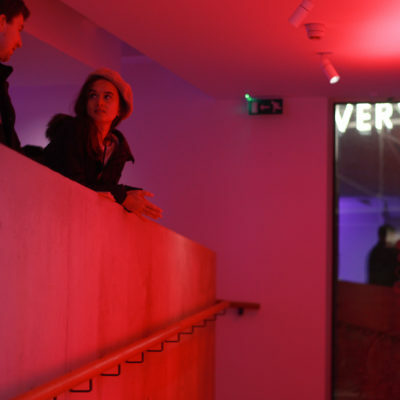 Our Late event, from 6–9pm will have music, making and more. Everyone is invited to come dressed as their favourite artist! Click here to find out more and to book now.